We’re so excited to see another artisan cheese producer in Northern Ireland. 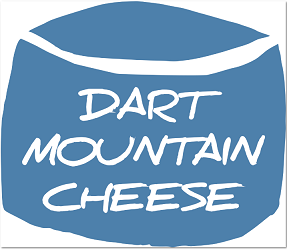 Dart Mountain Cheese belongs to the Tamnagh Foods group based in the Sperrin Mountains area of County Derry. They have worked together with Northbound Brewery in Derry, another Food NI member and Great Taste Winners to create Northern Ireland’s only washed ale cheese Banagher Bold, using their No. 26 Pale Ale. Their long aged Tirkeeran Cheese, due for release May 2016, is eagerly awaited. They want the range to reflect the landscape of the area. They live just below the peaks of Dart Mountain and Sawel Mountain, the highest, both visible from their dairy. Every single cheese is produced using traditional methods with a dedication to hygiene, quality and flavour. It’s all made on site at the purpose-built facility, where they also make granolas, chutneys and relishes under the Tamnagh Food brands.